This badge was issued to Kenneth Aaron Poutanen on 25 Nov 2011. 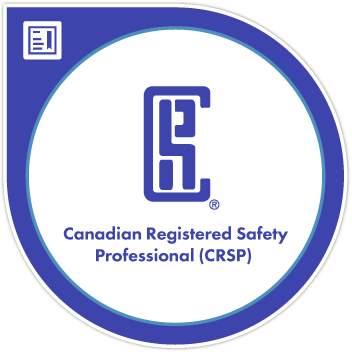 A CRSP has in-depth knowledge of health and safety principles and practices and uses this knowledge to develop systems in the workplace in order to achieve optimum control over hazards detrimental to people, equipment, material & the environment. They are committed to the principles of loss control, accident prevention and environmental protection. They are committed to managing an organization’s health and safety issues according to the Rules of Professional Conduct (Code of Ethics). In 2005, the BCRSP was granted accreditation to ISO/IEC 17024 by the Standards Council of Canada. In 2008, the BCRSP was granted certification to ISO 9001 by BSI Management Systems.